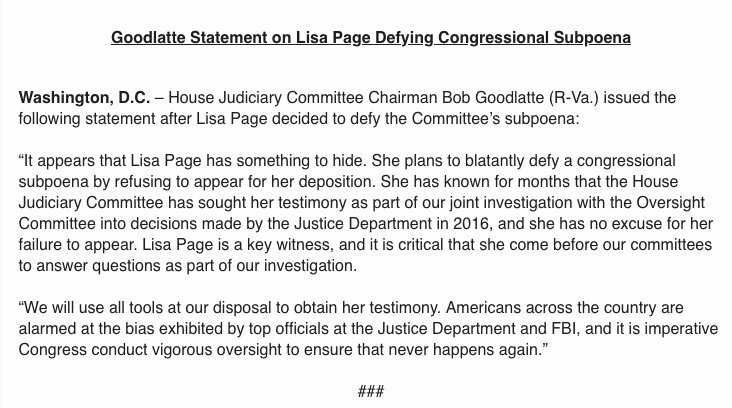 Thread by @Headsnipe011: "Goodlatte Statement on Lisa Page Defying Congressional Subpoena @drawandstrike @ThomasWictor @TheChiIIum @HNIJohnMiller @jihadaeon1 @rising_ […]"
“It appears that Lisa Page has something to hide. 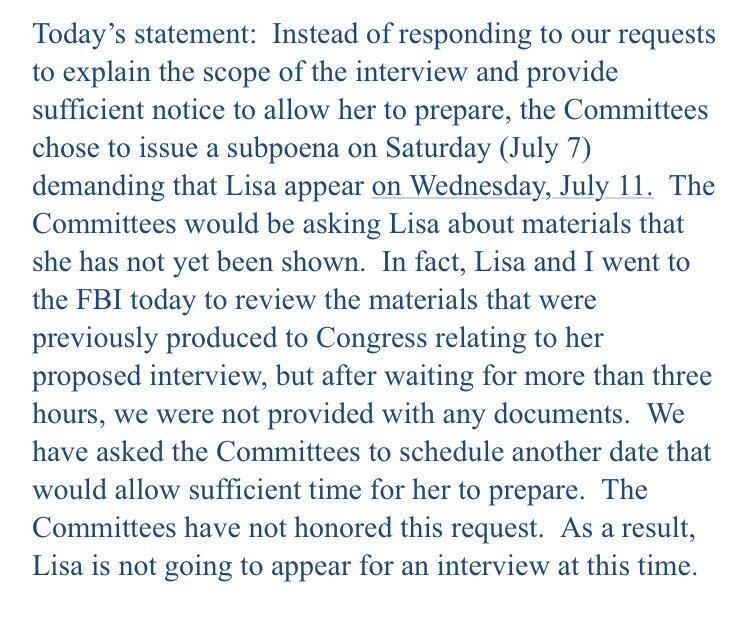 She plans to blatantly defy a congressional subpoena by refusing to appear for her deposition. 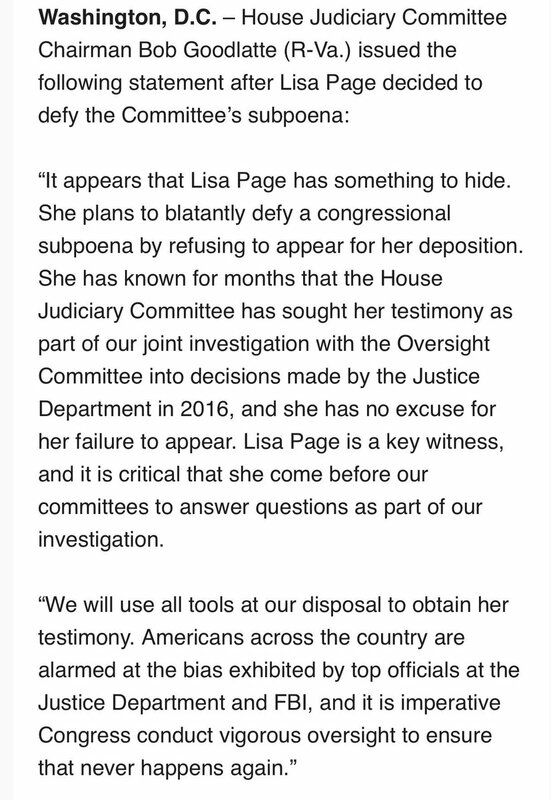 She has known for months that the House Judiciary Committee has sought her testimony as part of our joint investigation with the Oversight Committee into decisions made by the Justice Department in 2016, and she has no excuse for her failure to appear. 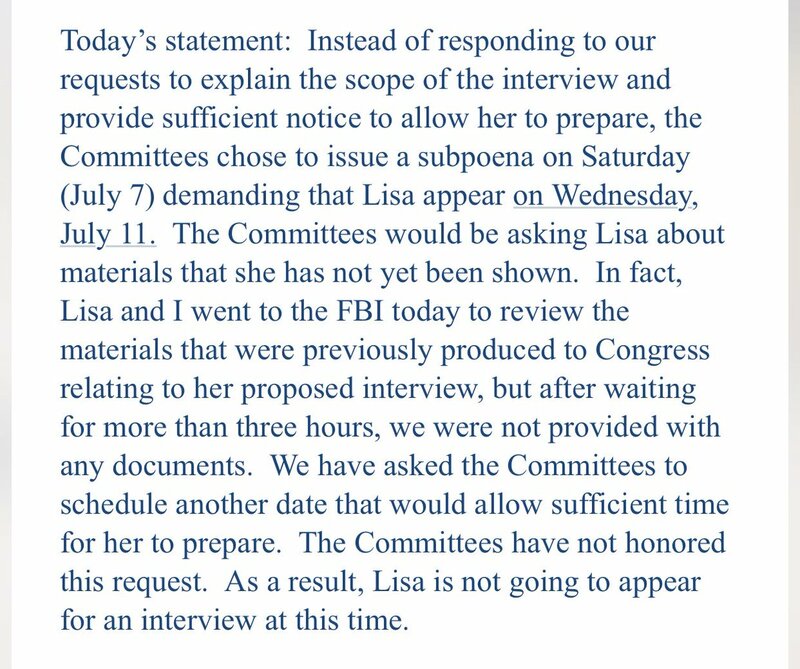 Lisa Page is a key witness, and it is critical that she come before our committees to answer questions as part of our investigation. That B-29% you saw a few weeks ago was not a fluke. Look at the Democrats desperation on Race and Violence Today. Did you know how Nixon Lost the 1964 Election sweating ? He sweated too much on TV...and Kennedy looked "Presidental"
Nixon Lost the 1960 Election sweating ? This is a double blow for House Republicans. Peter STRZOK is scheduled to testify publicly Thursday and they wanted Page’s private testimony in hand as ammunition. GOODLATTE says the House will use "all tools at our disposal" to get Page's testimony. That may mean an attempt to enforce the subpoena.